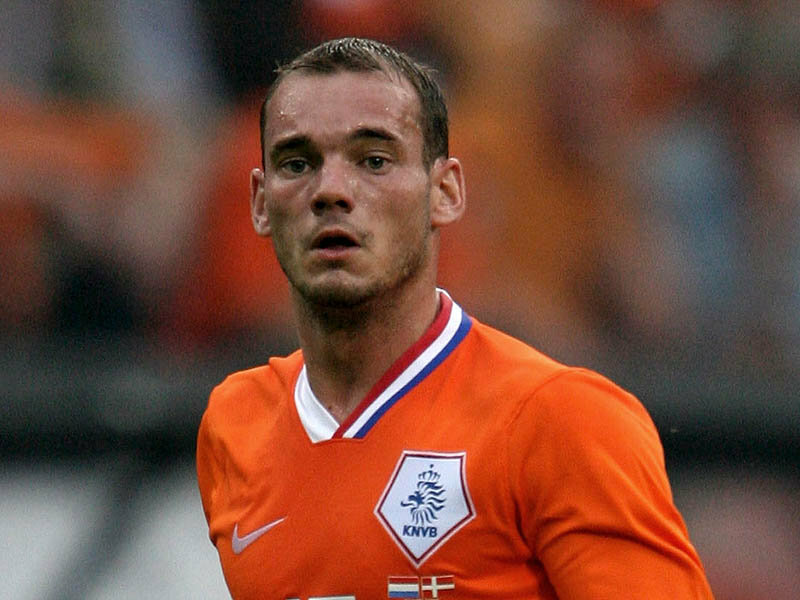 Will Manchester United Sign Wesley Sneijder For €40M? The recently crowned champions of the Premier League Manchester United have agreed a fee of around €40million in order to finalize the signing of the Dutchman Wesley Sneijder from Inter Milan. ‘The Red Devils’ have been attempting to sign the 27 years old playmaker for some weeks now and from the looks of it, its finally completed and they have found themselves the perfect replacement of the retired Paul Scholes. Sneijder’s wage are the only thing left of compromising due to the fact that Sneijder used to earn €220,000 a week in Inter Milan but Manchester United are only willing to pay up to €190,000 although that can easily be settled in a matter of a few hours. Head Chiefs of both clubs are reported to already have shaken hands concreting the transfer of Sneijder and so his contract which lasted up until 2015 will be eliminated as he joins Manchester United and begins training with the English in the next few days alter everything is cleared. Some fans of the Italian club Inter Milan; believe they are doing a huge mistake on letting go a player of the caliber like Wesley Sneijder who was a key player in their Treble winning season of 2009-2010. But the fact is that the new coach Gian Piero Gasperini already expressed his plans and Sneijder was nowhere to be found in his future. Joining Manchester United for Sneijder will be a huge leap in his career after he was simple a benchwarmer at Real Madrid back in 2009 and now not only he is going to fill in the boots of the recently departed Paul Scholes but entering a squad that won the Premier League and will be trying to defend it against the top English teams: Chelsea, Manchester City, Liverpool and Arsenal. The only thing left for United to do is settle down his personal terms involving his wages but that really should not be a big problem and Sir. Alex Ferguson should be more than happy on welcoming a Dutch legend like Wesley Sneijder is who probable will be playing alongside Wayne Rooney and the Mexican sensation Javier Hernandez.